Well that wasn’t supposed to happen. After the Hoosiers climbed to their highest ranking since January of 2008, they fell to Minnesota at home Thursday night in a game thought to be a stepping stone to the showdown at Ohio State this weekend. 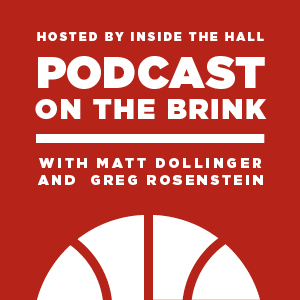 Greg Rosenstein and Matt Dollinger talk about the loss and what it means for the rest of IU’s season with former IDS basketball columnist Jordan Cohen. The three discuss the struggles of Verdell Jones and Christian Watford as well as the return of Will Sheehey. Later in the show, Sports Illustrated senior writer and Bloomington native Jon Wertheim comes on to discuss the Hoosiers and his two recent stories on the program. Wertheim wrote a story in this week’s SI magazine about Indiana’s turnaround this season and also penned a story on SI.com comparing what Tom Crean went through at Indiana to what new head football coach Bill O’Brien will go through at Penn State. Wertheim also discusses growing up in Indiana and following the Hoosiers and also answers questions about the state of the program and how Crean has been successful in turning it around. So tune in and enjoy. As always feel free to drop us a note at [email protected]. We’ll be back next week after the Ohio State game. Note: Wertheim has written two books Hoosier fans might be interested in. His latest, Scorecasting, comes out on paperback next week and his book Transition Game chronicles Indiana high school basketball and Wertheim’s alma mater, Bloomington North. I’m sure those SI stories are great. However, I will continue my boycott of that rag because of what they and their buddies at CNN did to Bob Knight a decade ago. Never forget those that kicked you. Another great episode with a great guest. You guys continue to knock these out of the park!